In untreated central heating systems, air may cause problems such as flow interruptions or even a complete system breakdown. Air in a system is the largest contributor to creating magnetic sludge, that can accumulate wherever a magnetic field is present. In valves or heat exchangers, pipes, radiators, pumps and Heat Exchangers. Next to costs associated with repairs, parts and downtime, contamination also leads to reduced system performance and, therefore, higher energy costs. 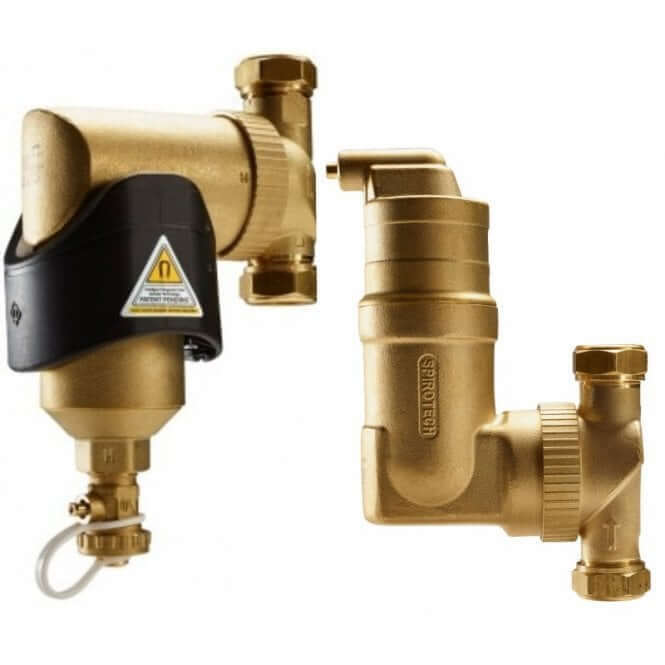 Boilerhut have decided to work with Spirotech to offer an extensive range of SpiroCombi deaerators along with our boiler installation. These remove air, microbubbles from system water continuously. Removes circulating air and micro bubbles effectively. A SpiroCombi Microbubble Deaerator combined with a Viessmann boiler can be a match made in high efficiency/reliability heaven. We are rated Excellent with 5-Stars on TrustPilot. How can a Microbubble Deaerator Benefit your Central Heating System? A microbubble deaerator removes circulating air and even the smallest air bubbles from installation water in an exceptionally effective manner. This is crucial to central heating installations, because if air is not sufficiently removed from the installation fluid, all sorts of inconveniences and installation issues will arise. This cannot be prevented only through manual venting of your heating, cooling or process installation every once in a while. 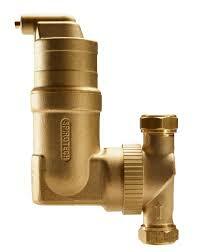 Retrofits to new or existing heating pipes. It works on any type of Oil, Gas, LPG or Electric boiler. Provides up to 20% more heat from your radiators. Sizes for all heating systems domestic or commercial.